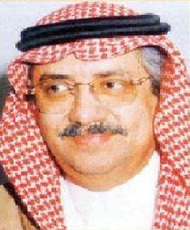 He was educated in Makkah till he finished his high school (literary section), he then worked as a clerk at the national security departments, nationality and passports department, and at the Ministry of Culture and Information (at the general directorate of journalism and publishing, and the general directorate of literature). He was seconded afterwards to work at different newspapers over the following years, he worked as a sub-editor in Al Bilad newspaper and Al-Madina newspaper (daily newspapers), then he worked as an editor in chief at Okaz newspaper. He kept writing a daily column entitled “Shadows”” for every newspaper he worked at, along with his literary works that range from short stories to novels, and creative and literary essays. He was designated to establish the KSA office of the Lebanese London-based newspaper Al Hayat, in which he wrote a daily column, entitled “a Point of Dialogue”. Besides working as a freelance writer, he wrote a weekly page in Al Jadeed magazine entitled “Words beyond Restraints”, a weekly section in the Saudi magazine “Al Yamamah” entitled “Harbors in Tomorrow’s Trip”, and a daily column for Okaz newspaper entitled “Shadows”.